Games are published on Tuesdays for the next Saturday & week after. That means you must get your availability done by Tuesday. Please keep your availability updated. I know it can be tough...I have to do it myself for my refereeing. You have 3 days to accept games and those games will autodecline after 3 days and I'll assign them to someone else. March 16-22 games assigned March 5. USL Regular & Post Season assignments. Development Academy Regular Season, Summer Playoffs & Winter Showcase. Region 2 President's Cup appointments. 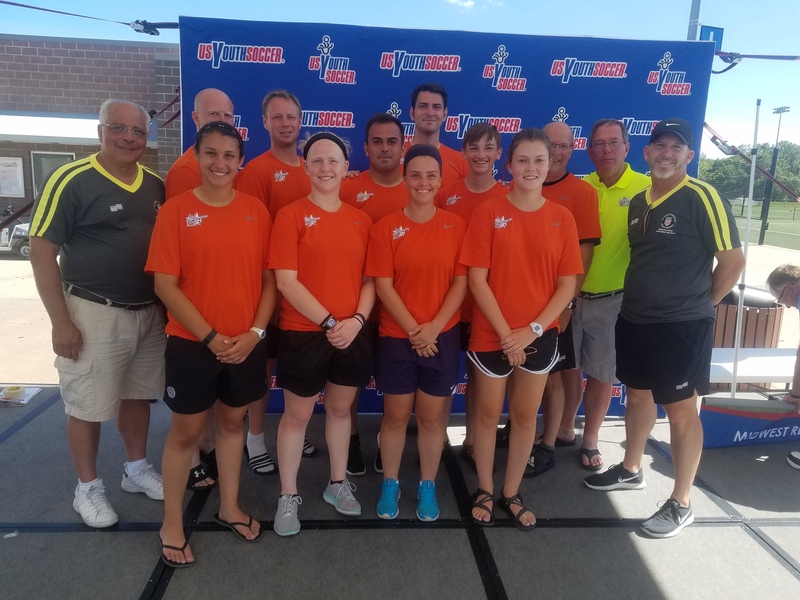 Region 2 Youth Regionals appointments. 2018 MYSA Young Male Referee of the Year. 2018 MYSA Young Female Referee of the Year. USL regular season & postseason assignments. Open Cup 1st, 4th and semi final rounds. For pictures & details, see below. Representing Lake Country: Jordan Furnas, Chloe Lairmore, Kori Cowger, Derick Blankenship, Dan Ortega, Stephen Hoffmeister, James Emeric and Shane Cowger. Chuck Lonardo and John Hicks were assessors. All referees received a semifinal or final assignment. And Dan Ortega was selected to referee at President's Cup Nationals, July 12-16 in Auburndale, FL! Representing Lake Country: Madison Vanek, Tim Wagner, Derick Blankenship, Austin Sanders, Josh Pennington and Dan Ortega. And Tim Wagner was selected to referee at Youth Nationals July 25-30 in Frisco, TX! Let Shane know of any accomplishments of our Lake Country referees and possibly we will add them here! We use www.gameofficials.net to assign league and tournaments at Lake Country. Please email Jeff Kollmeyer if you need help with your login credentials.